This quiet beautifully remodeled 1400sf 2 bedroom condo is located at a comfortable 900 feet elevation right on the 9th Fairway of the Robert Trent Jones Jr. designed Golf Course in Waikoloa Village. The Waikoloa Villas complex is surrounded by lush manicured and landscaped gardens overflowing with tropical flowers and swaying palm trees. The condo has beautiful Tiger Wood Floors in the common areas, while both bedrooms have carpet. All rooms have ceiling fans. The living room has floor to ceiling windows to view the great outdoors, and a large sliding glass door to the lanai. The master bedroom with a dramatic vaulted ceiling has a California king-size bed and a private lanai to enjoy that morning cup of Kona Coffee while listening to the unique sounds of tropical birds singing. The second bedroom has two twin size beds. The condo has its own washer and dryer. Enjoy cooking in this fully equipped kitchen with granite counter tops and maple cabinetry. Have dinner, entertain or relax on the spacious lanai with table, chairs, and wet bar while the sun sets over the Pacific Ocean in the distance. The condo complex features 2 swimming pools with cabanas, 2 hot tubs, and barbeque facilities. There are shady areas to eat or rest while enjoying the sun's relaxing rays or mesmerize looking up at the amazing star lit sky. Enjoy discounted green fees at the Waikoloa Village Golf Course, designed by Robert Trent Jones Jr. The Golf Course with Golf Pro Shop, driving range, and clubhouse are only a 5 minute walk away. Next to the golf course are an Olympic size swimming pool and 2 tennis courts that are also available to guests. The Waikoloa Village shopping center, a leisurely 10 min stroll away offers a very nice supermarket, restaurants, snack bar, bank, gas station and more. The Waikoloa Beach Resort, 15 min away is known for its two championship golf courses, upscale boutique shopping, art galleries, jewelry shops, and fine dining restaurants. The beautiful Anaeho'omalu Bay is in a protected cove and has a beautiful sandy swimming beach with lounge chairs under the majestic palms trees and offers sunset and dinner cruises, paddle boarding, kayaks and snorkeling. The championship golf courses of Mauna Kea, Mauna Lani, Hapuna Prince, The Waikoloa Beach and Waikoloa Kings Courses are just minutes away by car. 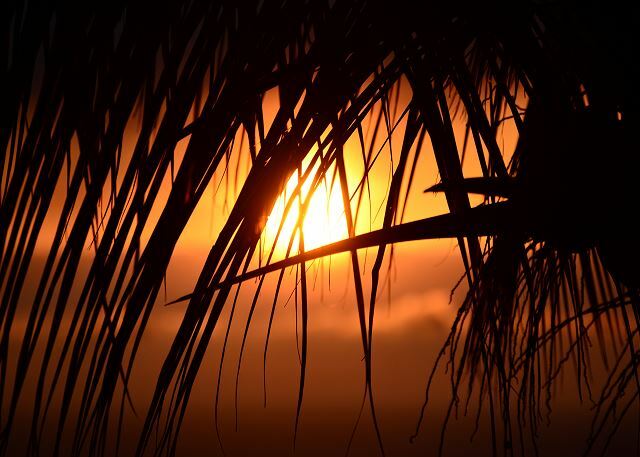 Travel down the road to the South Kohala Gold Coast and find the spectacular oasis of Hapuna Beach. The largest of Hawaii Island’s white sandy beaches is consistently rated on numerous top ten lists. Hapuna offers good conditions for swimming, bodyboarding, sunbathing and snorkeling. This condo is an all around great location for an extended stay. Inquire about our extended stay discounts! A welcoming and relaxing environment greeted us and allowed us to thoroughly enjoy our days in this lovely setting that is so centrally located on the Big Island. Mahalo nui loa for this 5 star review of Palekaiko (Paradise). We are elated you found the property both welcoming and relaxing. We sincerely hope you see you again! We were completely happy with this home. It was a great place to stay and we would stay here again. Could use another piece of furniture in the living area but, overall very good. Mahalo nui loa, for your review of Palekaiko (Paradise). We are delighted you were completely happy with your stay and would stay here again. We very much hope you return, and please do contact our attentive property manager, Nick, for our coveted repeat visitor rates which are the best you can access. 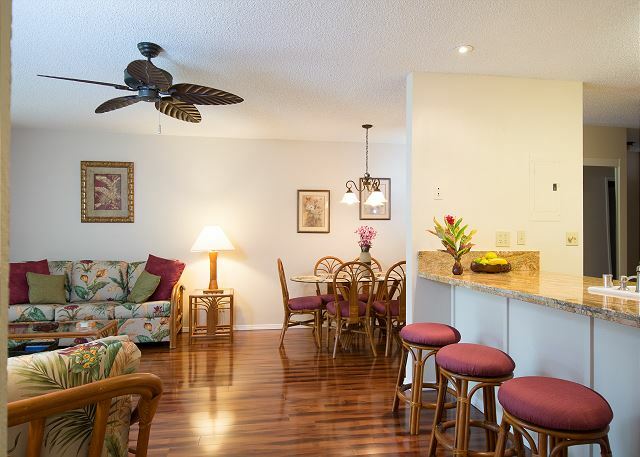 The condo is well maintained and was clean, The Lanai’s Were so peaceful and surrounded by beautiful foliage. Steps from the pool and BBQ area. Boundless Hawaii was exceptional . Nick and Amy responded quickly to any questions we had. Should we ever get another opportunity, we would return here! Thank you Carolyn for your gratifying appraisal of Palekaiko (Paradise). Your personal and genuine review is very important to all of us who take such diligent care of our guests and properties. Mahalo Nui Loa! We do hope you return, and please do contact our attentive property manager Nick for our repeat visitor rates which are the best you can access. Our stay at Waikaloa Villas was a great experience. The accommodation was clean and as presented in the description. We especially liked having access to the pools and the location was good to access many of the beaches in the area. Our dealings with the property management company were excellent. We would recommend this property to friends and look forward to a return visit. Your personal and genuine review, is very important to all of us who take such diligent care of Palekaiko. Mahalo Nui Loa! To obtain the very best rates when you or others in your group return, please directly contact our (esteemed, well-regarded, respected, attentive, focused, helpful, caring) property manager, Boundless Hawaii. We were very pleasantly surprised by the property size, cleanliness and comfort. It's perfect for 6 people. The kitchen was equipped with everything we needed for cooking meals. There was an abundance of beach equipment and toys. Having an washer and dryer in the condo was super convenient. The lanai was perfect for morning coffee and dinners. The closeness to the pool and BBQ area was a bonus. We would definitely come back again. One suggestion to the management company will be to try to get rid of the ants, they were almost everywhere in the condo and are super annoying. Boundless Hawaii gave us an option for late check out without charge, for which we're grateful. Mahalo. Thank you for posting this great review of your experience at the property! I am happy to hear you took advantage of all the amenities this property has to offer. Thank you for the feedback about the ants as we do try are best to get rid of them. We sincerely hope to see you guys again soon. Simply remember that the best possible rates are found directly through Boundless Hawaii. This was a nice unit to stay in. Very close to the pool. The kitchen is fairly well equipped (could have used a slow cooker). We had a great time here and would love to come back. We will mention to the owner your request for a slow cooker. Considering the cabinets in the unit we may simply not have the space for a small appliance like that. Glad to hear that otherwise you've enjoyed your stay in the Waikoloa Villas! We had a very enjoyable stay in beautiful Hawaii. Comfy condo with lots of beach equipment. Kitchen could use a couple of casserole type dishes in order to use the oven for cooking. Also perhaps more seating in the living room area. Thank you for the insight Sarah! We will mention this to the owner and see if changes can be made. Condo was comfortable, clean and had all the amenities we needed. The boogie board, snorkel gear, chairs, etc. were a plus. Very nice condo on the golf course and next to the pool. The furnishings and kitchen are well appointed so we felt right at home. Easy to find and very close to groceries, a gas station as well as one of the best restaurants around- Pueo's Italiian. Just a little over an hour to Hilo, so day trips to the other side of the island is doable. I would stay here again. it was busy doing a documentary on the icultural and science issues surrounding Mauna Kea. Location was perfect. It was a very hot time while we there and without AC we were glad to have the pool to cool off at the end of our work day. Waikoloa Villas F 100 won't disappoint! We found the condo to be exactly as described. It has an excellent location, close to the pool, easy access from the parking lot and nice privacy being at the end of the building. Any small issues that came up were quickly taken care of by the Boundless Hawaii property management team. The reservation process was pretty simple as well. This was our 4th visit to the Big Island and we love it and the Waikoloa area. If you stay here you will be hard pressed to find anything to complain about. It truly is paradise! ! 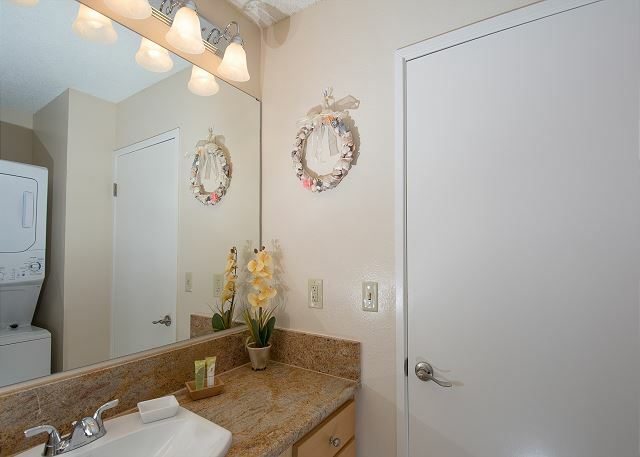 this unit is located in a very quiet, easily accessible area. It is a short drive to some of the best beaches. Very well maintained grounds.Walking to great golf. Ideal for 2 couples or family of 4. Boundless Hawaii and owner provided accurate info about the community and condo. The condo was spotless and beautiful. I enjoyed the Pueo's Osteria Italian restaurant in the village. The food was fabulous. I would recommend this vacation rental anytime. Thank you for a relaxing vacation. RESORT WAS VERY NICE & THE CONDO WAS REALLY NICE. WE ENJOYED OUR STAY. WE WERE NOT AWARE THAT THE CONDO WAS SO FAR AWAY FROM EVERYWHERE, THAT YOU HAVE TO HAVE A CAR TO GET PLACES AS A TAXI WOULD TAKE ALL OF A POOR MANS MONEY. WE WERE THERE FOR 11 DAYS & A CAR WAS A MUST FOR US, AS WE WENT COMPLETELY ALL AROUND THE ISLAND. We thoroughly enjoyed our quiet, peaceful stay in Paradise. The condo was well equipped with all the amenities . This included new pots & pans, beach equipment and a nearby BBQ . Loved having our breakfast or supper on the lanai. A computer & printer to use was also a nice touch. Loved our stay and hope to return. We absolutely loved out experience here! Everything was so easy to find and the property management was so friendly and made business very comfortable. The unit is so beautiful, everything is so perfect for out get away. Thank you so much!! !